Cloves (Eugenia carophyllata syn. 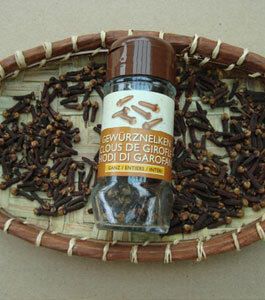 Syzgium aromaticum) are believed to be native to the Molucca (Maluku) Islands of Indonesia. Although Indonesia is the largest producer of cloves, Zanzibar and Madagascar, the later popularly known as the Island of Cloves. Clove contains eugenol (up to 85%), acetyl eugenol, methyl salicylate, pinene, vanillin. 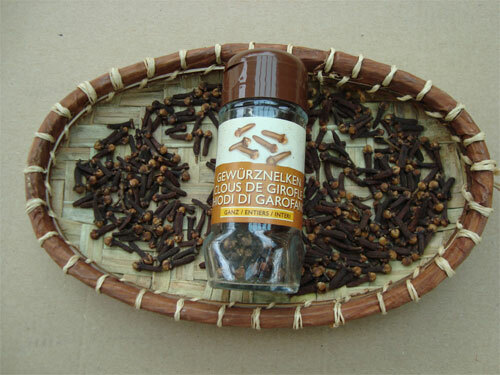 The major part of the world’s consumption of the clove spice is in the home kitchens, the domestic consumption of this spice makes up the largest part of the demand for cloves. 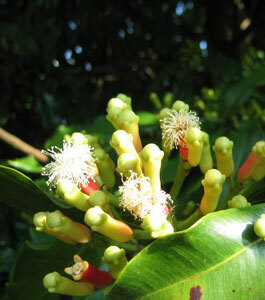 However, commercial uses of the clove for the production of clove oil also form a large percentage of the world’s clove produce. Processing plants, extract clove oil by subjecting the small, and hard buds to distillation - the clove oil is also used in cuisine as well as in medicine. 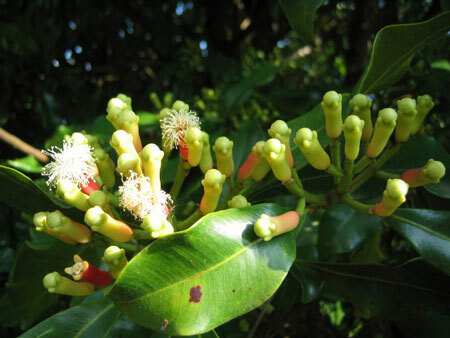 The medicinal abilities and the culinary uses of the clove depend to a great extent on the nature of the essential oil present in the plant; the oil is a complex of organic chemicals such as eugenol and eugenyl acetate - these two compounds being the major active constituents of the spice. Dentists make use of the clove oil during post extraction treatment as well as in dental fillings and in making cements. Soaps, lotions and toothpastes as well as different topical products make wide use of the clove to impart a warm and pungent smell to the product. 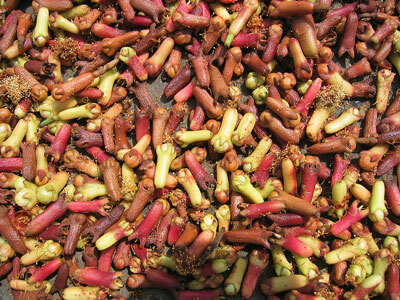 Our Cloves are hand-picked from the unopened bud of the evergreen tree in Madagascar. 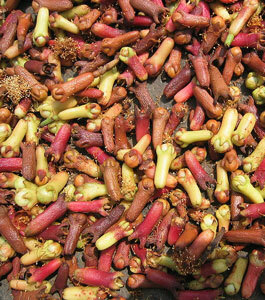 These beautiful pink buds turn a reddish brown as they are dried in the sun.